The weather during April can be variable, so keep an eye on the weather forecast and be prepared to nip outside to cover delicate plants, if frost is mentioned. Just a sheet of newspaper can suffice as protection – as long as you weigh it down to prevent it being blown away. Now’s the time to get motoring with preparing the vegetable garden for this year’s crops especially peas and beans. Runner beans are notoriously hungry plants so investing time and effort in thorough preparation will yield dividends. 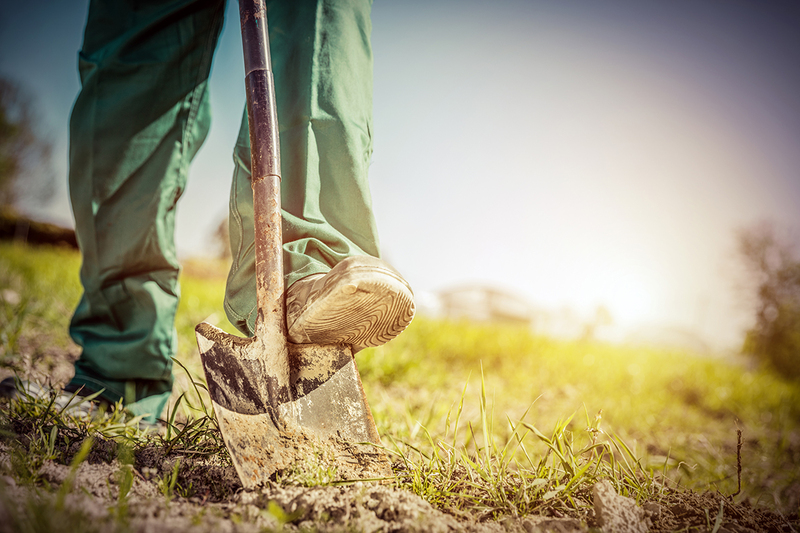 Prepare a trench around 1 foot deep and 2 feet wide, fork over the bottom and add a thick layer of compost with a sprink-ling of chicken manure on top. Before refilling the trench add vertical lengths of plastic downpipe, 1 for every metre of the row. These can then be used to water the beans during dry periods, ensuring the bottom organic layer remains permanently moist – this encourages the roots to grow deep and helps limit the impact of dry weather. Deadhead daffodils and narcissi giving them a liquid feed or sprink-ling of bone-meal and then let them die down. Don’t cut off the leaves as they are necessary to replenish the bulb for next year. Keep deadheading spring bedding to keep it looking neat and encourage new flowers. Continue with the spring cleaning. Hoe your borders, getting rid of weeds before they take hold – annual weeds such as bitter cress and groundsel are enough of a nightmare without allowing them to go forth and multiply by seeding. Mulch away while you can still see what you are doing and before the herbaceous growth really takes off. Use your own garden compost or leaf mould, well-rotted manure; the contents of used grow bags or ready-prepared soil conditioner. As the soil warms up and things start to grow, add general purpose fertiliser before covering with mulch especially in borders, the fruit and vegetable patch and containers. If you have already mulched, draw it back (if possible), tease the soil a little, add fertiliser and replace the mulch. While moving some bags of compost the other day, I discovered snail city underneath one of them. At least 30 of the little devils had over-wintered there. So now is the time to wage war on slugs and snails. They love tulips and delicacies such as the delicious young shoots of delphiniums and the like, so use pet-friendly slug pellets, or nematodes. Drench the ground around Hostas with liquid slug killer to exterminate slugs below the surface. Keep an eye out for snails and pick them off – what you do with them Is up to you. Birds are your friends here – flat stones artfully located are useful accessories for birds to practise their snail bashing techniques. Carry on lifting and dividing overgrown clumps of perennials and split polyanthus and primrose plants once they have finished flowering. Plant hardier summer bulbs and un-sprouted dahlia tubers (at least 4 inches deep in good, rich soil). Sow hardy annuals such as nasturtium and calendula in drifts – clashing colours just don’t matter in a garden, but remember to plant taller plants behind shorter ones. Wait a while to plant cornflowers and larkspurs until the soil is warmer. Sow sweet peas outdoors (soak the seeds overnight to improve germination) and plant out those raised under cover. Feed your pots and containers and brighten them up with cheery primroses, violas, pots of spring bulbs and spring heathers. Packing them densely in single colours makes for a stunning display. Summer bedding is now available in the garden centres as young plants for you to grow on – much easier than growing from seed or cuttings. Remember though, do not be beguiled by the odd warm day – frost will wreak havoc with these plants unless protected and slowly hardened off. Prune established shrubs such as forsythia and Ribes sanguineum. Camellias and rhododendrons can also be pruned hard. Apply a general fertilizer such as pelleted chicken manure to borders before mulching. Look out for the new supplies of herbaceous perennials in your local garden centres. Snap the seed heads off tulips and late daffodils as they finish flowering. Snowdrops can be divided now that they have finished flowering and before they die back for the year. 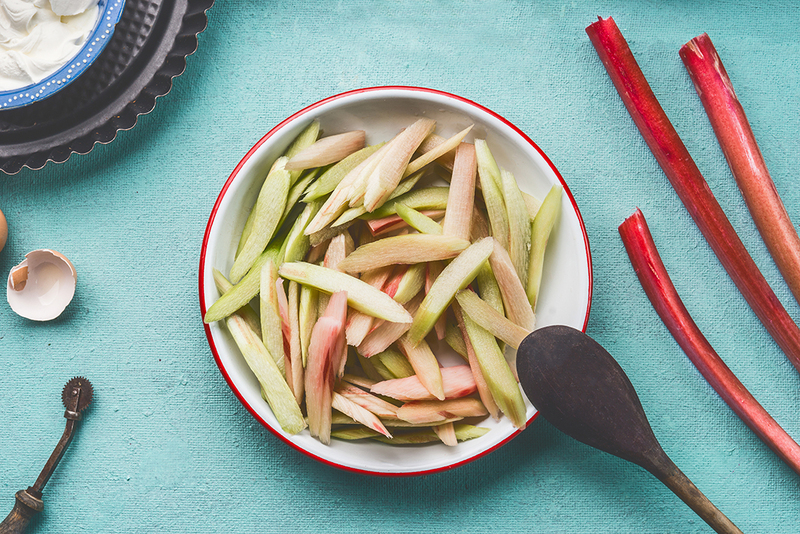 Bright pink forced rhubarb is now finding its way into the shops, so here’s a simple recipe for a great dessert. To serve 2 to 3 people you’ll need:- 300g of rhubarb stalks cut into short lengths, 2 blood oranges (one peeled and segmented, the other squeezed for its juice), about 1 dessert-spoon of golden caster sugar and a vanilla pod. Preheat your oven to 200-degree C (Gas mark 5). Put the rhubarb, orange segments and vanilla pod into an ovenproof dish. Pour over the orange juice and sprinkle with sugar. Cover tightly with foil and bake until the rhubarb is tender. Serve thoroughly chilled.